What does marketing have to do with the donor experience? Everything. If you’re not a born marketer—and who is?—self-promotion may feel like boasting. It’s not. Sharing the mission and vision of your nonprofit, the need you fill, and the stories of the community you serve are all topics your supporters want to hear about. Creating an inviting, enjoyable donor experience keeps your donors engaged and boosts retention. Promoting a positive image of your nonprofit is vital to attracting new donors and retaining existing ones. It peaks people’s interest in your nonprofit, shares information about your great work, builds trust with your community, and gives your donors the confidence that keeps them engaged. Your image is created by the work you do and interactions you have with your supporters and partners. It’s reinforced and sustained through marketing. For donors and prospects, marketing tells them who you are, what you do, and how they can get involved. The best marketing campaigns combine your messaging, images, and call to action. Whether you’re advertising an event, promoting community programs, or reminding donors of how they can give, marketing introduces your nonprofit to new groups and reinforces your reputation with existing contacts. It’s the story you tell and how you share it. Building and strengthening relationships with prospects and donors between appeals creates an inviting, inclusive donor experience. Marketing motivates volunteers, program participants, and others to donate. The best marketing methods for creating a better donor experience are your website, social media, and email blasts. How you engage your customers digitally will directly impact how they feel about you in person. It’s an ongoing way for them to get to know you better. And vice versa. Each option calls for a different voice, but you can easily adapt the same material for different mediums and create an integrated marketing campaign. Your donors are online, and you need to be there, too. Use your website to create a digital donor experience that is an extension of how you want them to feel about your organization. An enjoyable online experience includes easy navigation, relevant content, powerful images, and an easy-to-find donation button. Online giving has grown steadily year over year, with 54 percent of donors worldwide saying they prefer to give online. Harness the power of search engine optimization (SEO) to improve your positioning in search engine results, which will allow your website to capture active donors and increase awareness of your mission. More and more people are getting their information from social media these days. Next to your website, it’s the first place people look for updates. It can even outpace your website for immediate engagement. Provide a creative, fun experience with relevant updates. Post a few times a week (or even every day) to stay engaged. Share images, events, programs, and testimonials. Don’t forget to post your donation page and encourage followers to support you with a fundraiser of their own. Sending email blasts (“eblasts”) are a quick, attractive way to communicate with your contacts. Don’t worry about being a graphic designer. With an all-in-one donor management system like Network for Good’s you’ll have designed templates at your fingertips. Send newsletters, thank you letters, event invitations, and appeals in just a few easy steps. Segment your donors to tailor each message to a specific audience. Once you get these basics down, you can replicate and expand on your success. 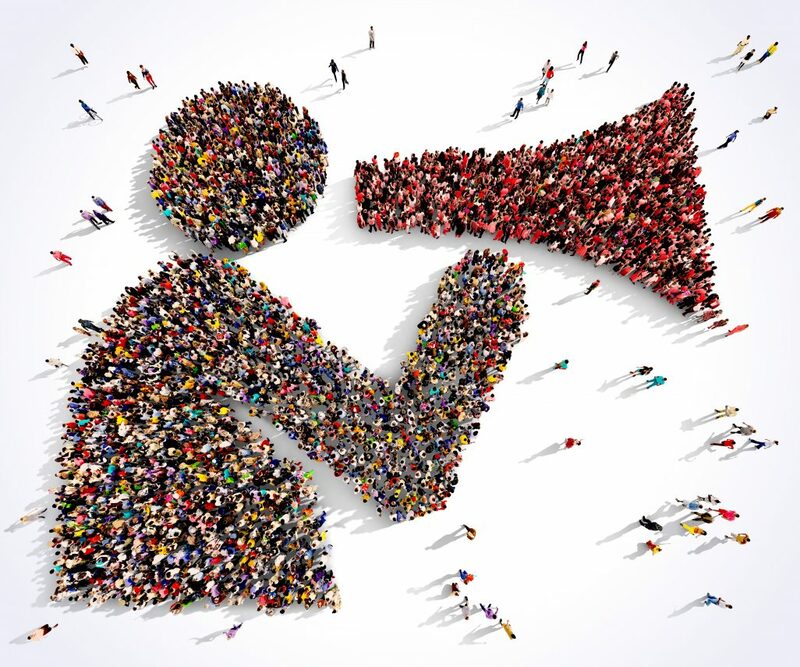 Test out different messaging on different channels and develop a voice that’s distinctly yours. For more tips to become an expert nonprofit marketer, check out our popular White Paper, How Marketing Drives Donor Engagement.